This year was my third year attending the Annual Leeds festival ( Readings louder and bigger brother). Compared to a couple of my mates who are seven, or maybe eight year veterans I’m a b it of a newbie. visiting the festival on average every two years, I have noticed a big change in atmosphere and attendees a younger crowd after a different kind of music. But we will get onto that later. As one of the biggest festivals in the UK they attract some of the biggest names in the industry. In the past playing host to artists such as the Foo Fighters, Kasabian and Eminiem. This year was set to be another incredible line up with the Red Hot Chilli Peppers headlining the main stage and closing the festival for 2016. Unfortunately the rain did come think and fast to this years festival starting on the Thursday not long after lunch turning major walk ways from the orange camp through to the arena into a quagmire. Yet this didn’t seem to dampen spirits. If anything it added to the experience providing the perfect platform for mud slides and entertainment watching people fight with the swamp trying to swallow wellies and trainers. Leeds festival carries an atmosphere throughout the campsites at all unearthly hours, a buzz, a sense of energy you can’t help but be absorbed by it. Thousands of small tents all pitched with hardly enough space to walk between. Bonfires lit in any space large enough for a small group to huddle for warmth, or simply the opportunity to burn stuff. I camp in green which is second to furtherest from the arena, the further you stay from the arena the little bit of extra space you get. So we opt for the slightest grasp of comfort available in a festival. In orange camp roughly half way between green and the arena you find two stages thumping late into the night. One of which, the Relentless stage is positioned in the woods. Bathed in a low purple light casting shadows in every direction. This stage will play home to some of Europe and the world biggest DJs in the small hours sho wcasing the very best house and dance music on offer. Back to the arena home to a variety of large stages leading down the hill to the main stage, the focal point of the festival. The area in which tens of thousands will gather to watch the biggest acts invited to perform. In contrast Leeds and Reading festival also provide a BBC introducing stage where up and coming artist can perform to boost their reputation, build themselves a fan base and maybe if they’re lucky one day they too will be invited to perform on one of the big stages for thousands of roaring fans. Anyway ill refer back now to my initial paragraph when i mentioned the the drastic change in atmosphere and attendees. The first year i went Leeds festival was a mainly a line up of rock music. There was a dance stage for one day of the festival and the stages at night did provide a variety of dance and house music, but there was an over all feeling that everyone was there for the music and to see their favourite bands the fact that it was a festival and an opportunity for a 24 hour party was a bonus. This year however i regret to say it was very different. 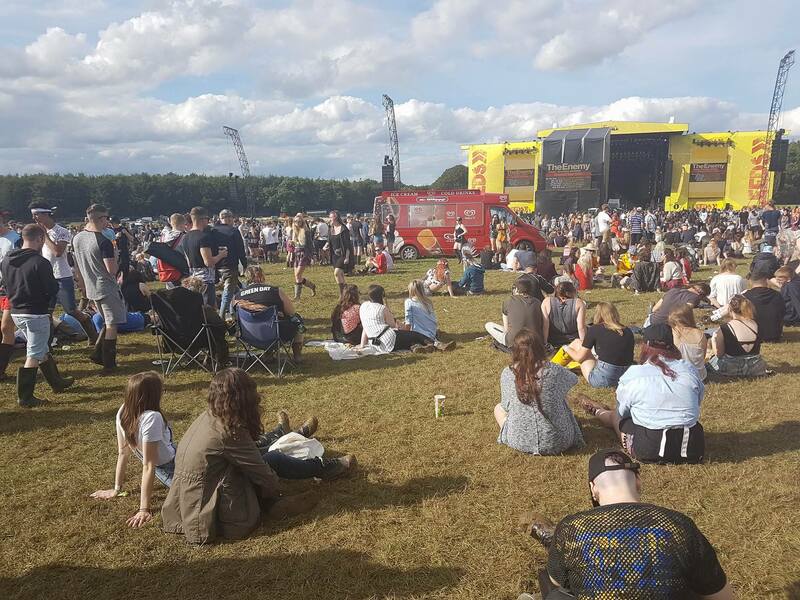 This year it seemed to be a far younger crowd more there for the party than the music,the more traditional bands for Leeds festival seem to be drawing a smaller crowd than acts such as Boy Better Know. The atmosphere at a lot of the bands was lacking to say the least. Bands i had seen a number of times before were trying to get the crowd going but there was little response. I don’t wish to go on about this to much as i don’t really want to put a downer on the overall experience however i do feel that for anyone specifically going for the music may have felt they were cheated a little. I have to admit the atmosphere you expect from a festival over a gig just wasn’t there. I know i have ended on a negative. I don’t wish to make anyone feel that Leeds isn’t a great festival because it is and it will continue to host incredible bands for years to come. I’m sure that in another six years the demographic of attendees will once again change reforming the feel and atmosphere that engulfs anyone present. For me i don’t think i will be attending again. It’s time i ventured abroad to explore what cities around the world have to offer and with any luck grab myself tickets to Glastonbury. But i will always have love for Leeds.